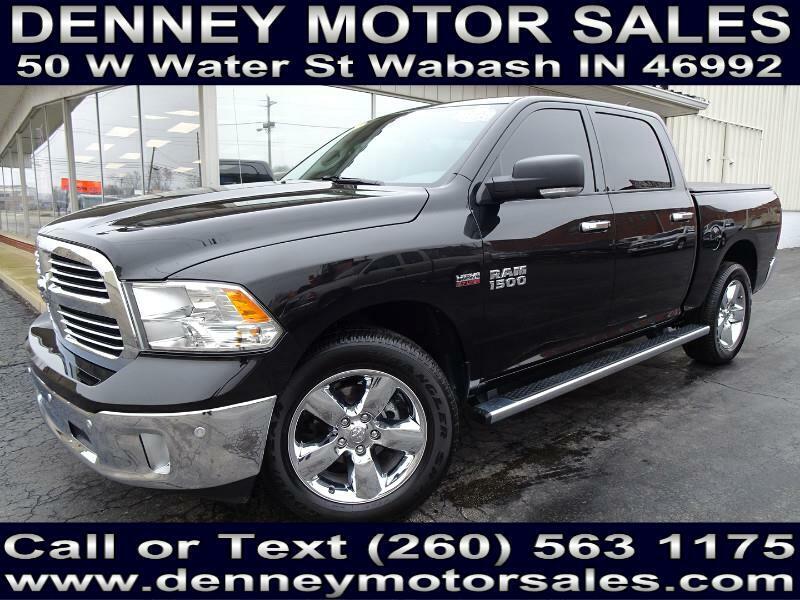 Used 2017 RAM 1500 SLT Crew Cab SWB 4WD for Sale in Wabash IN 46992 Denney Motor Sales Inc.
1 Owner, Non Smoker, Bumper To Bumper Warranty, 5.7L Hemi V8 Engine, Navigation System, 20 Inch Chrome Wheels, Heated Front Seats, Heated Steering Wheel, Trailer Towing Package, Rear View Camera, Alpine Premium Stereo System, Spray In Bed Liner, Bed Cover, Remote Start, Tinted Windows, Big Horn Package, 8 Speed Automatic Transmission, Fog Lamps, Driver Information Center, Black Metallic with Gray Cloth Interior, Power Windows, Power Door Locks, Power Mirrors, Keyless Entry, 60,000 Mile Warranty, and much more! Please visit http://www.denneymotorsales.com/ to view more photos of this 2017 Ram 1500 Big Horn Crew Cab 4x4! !